Jacques Ranciére. The Intervals of Cinema. Translated by John Howe. London and New York: Verso Books, 2014, 154 pp. 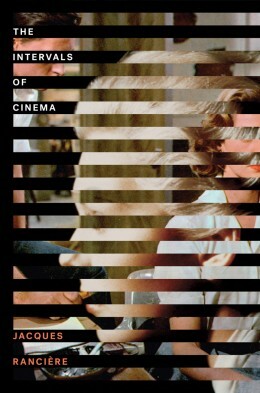 Jacques Ranciére’s The Intervals of Cinema, a loose collection of essays on film and filmmakers ranging from Hitchcock to Costa, opens with an excellent preface in which Ranciére writes about cinephilia and his experience of learning to love film through “a play of encounters and distances which can be discerned through . . . three memories.” These disparate memories are his first viewing of Rossellini’s Europa ’51; his obsessive reading of books and magazines on cinema from which he tried to learn (simultaneously) “cinema theory, Marxism and the Italian language”; and his experience in the back room of a pub in Naples where he watched Nicholas Ray’s Run for Cover “on a sort of badly hung sheet” (1). The uncomfortable relation between an innocent love of cinema and the ‘higher’ aspirations of aesthetics, politics, and theory that emerges from these recollections is the book’s primary tension, and it is here in the preface that he is most sensitively personal about the implications of that tension for his career as a theorist. The limitations of Ranciére’s analysis in the following chapters are nothing less than the limitations of film itself: he ends the preface with a description of the final shot of Mizoguchi’s Sansho the Bailiff, suggesting that even cinema that “participates in the struggle for emancipation” also dissipates like “circular ripples on a lake surface” (14-15). Its sequence of images and actions finally mute, the “political effectiveness of the forms of art is something for politics to build into its own scenarios” (emphasis mine). In Chapter 1, Ranciére articulates the radicalism of Vertov’s Man with a Movie Camera as a demonstration of the camera-eye’s ability to render all movement equivalent, to merely transmit movement. The working of Vertov’s camera “finds an exact symbol in the telephone exchange where operators do nothing but insert and remove the jack plugs that complete communications independently of their own will” (31). Ranciére complicates Deleuze’s claim that Vertov’s camera is the utopian machine “that places all machines in communication by redeeming them from the imperialism of goals” (35). Instead, Vertov’s film “offers a perfect balance between the two opposite positions” of an imperialistic panoptic eye and the dismissal of all-controlling panopticism in favor of free development of movement qua movement – both elements are present in a film whose speed “makes it impossible for the gaze to put a story to a face” (31). Such a brief summary of this section does little justice to the carefulness of Ranciére’s looking. But when it comes time to embed the cinematic art of Vertov or Hitchcock, Bresson or Minnelli within larger socio-cultural frameworks – a task Ranciére seems to expect of himself – the result can be a bit messy and abstract. His most sophisticated analysis of the relationship between film and a comparative art, in this case literature, comes in his chapter on Bresson’s Mouchette, adapted from Georges Bernanos’s Nouvelle histoire de Mouchette. Ranciére’s example of “literary cinematographism” in the adapted novel is meant to demonstrate how the equivalents in writing of long establishing shots, medium shots, and close-ups in their concatenation produce an “indeterminate sensoriality of scattered voices” (48), or a “zone of indeterminacy” between the narrator’s words and a character’s perception where the visual status of the literary metaphor is ambiguous. This he opposes to Bresson’s cinematic fragmentation. In other words, Bresson reinvents the opening of the novel through the use of “shots and spaces and images of fragments of bodies,” a narrative economy that differs from literature’s not due to any anti-representational principle but rather as a way of explicitly forbidding the image from being metaphorical, or “anything more than a relay between the previous one and the next one” (50-51). Each shot is conceived to “contain nothing more than a determined moment of the action”; it has value only in its position and relation within a sequence (52). Again, Ranciére’s cinematic analysis here is very thorough, but his treatment of literary mimesis and narratology is not quite comprehensive enough to develop a compelling comparative schema generalizable to a variety of texts. Ranciére, however, does make a significant contribution to the discourse on film and philosophy. The book’s larger strategy is to provide a rigorous phenomenological attention to the lived body, largely compatible with contemporary affective approaches to cinema, without which we get “the fabricated image [of the ‘thinker’] that the man of power assembles to subject men by imposing it on their imaginations” (94). This man of power is the disembodied philosopher, and a return to the body-in-image is at least a step toward the presence (how far Ranciére is from deconstruction at this moment!) necessary for engaged, materialist thought. This discussion comes in his chapter on Rossellini and the filmmaker’s representation of the “sick bodies” of Descartes and Pascal in Cartesius. What Rossellini accomplishes, Ranciére argues, is to express in the cinematic image a contradiction between the body and thought, the appearance of struggle in the image of the body: “The same body that cultivates their thought has to appear recalcitrant to its expression” (97-98). The final section of the book deals explicitly with “Politics in Film,” and eventually returns to the reticent stance of the preface, concluding that cinema “can no longer be the art that simply gives back to the humble the palpable riches of their world. It should consent to being merely the surface on which the experience of those relegated to the margins of economic circuits and social pathways seeks to be ciphered in new forms” (142). The overriding question here is whether there is anything more to film than a play of light and shadow on a screen. Ultimately, it’s not clear that there is for Ranciére. The screen registers and records – and says “look at!” – the intervals and gaps that structure our (political) world, but we are nonetheless forced to sit, our bodies almost completely out of action, in a dark room in order see them at all. In the end, despite his best effort at complication and synthesis, Ranciére does speak to the cinephile rather than the activist or theorist, though maybe that too is inevitable. What he claims cinema would say to us if it could speak directly might also be applied to him as a representative author-cinephile: “These are the limits of what I can do. The rest is up to you” (15).